Chrysler Dodge Jeep RAM of Columbia has the largest selection of Jeeps for sale in the Nashville, TN area. Nashville’s largest selections of Jeep Renegade, Jeep Compass, Jeep Wrangler, Jeep Cherokee and the Jeep Grand Cherokee are a few outstanding choices that you will find right here at Chrysler Dodge Jeep RAM of Columbia. Talk to our product specialists online and get information about the largest selection of Jeeps for sale Nashville, TN. The Jeep Wrangler received the 2019 SUV of the Year from MotorTrends. Jeep vehicles are ideal for any adventure seeker. Chrysler Dodge Jeep RAM of Columbia has Jeeps that have amazing off-road capabilities and the latest technology. The redesigned and re-engineered Wrangler finds its own path to modernization. Daily commuters will appreciate the upgraded driving experience, and off-roaders will admire how much more confidently they can pass through their favorite trails. The Nashville Jeep Wrangler will be a favorite with families and off-roaders. Conveniently buy online a new or used Jeep. The Chrysler Dodge Jeep RAM of Columbia website makes it simple to buy a Jeep Rene, Jeep Compass, Jeep Wrangler, Jeep Cherokee, or a Jeep Grand Cherokee right from your home or office. Finance your new or used Jeep online, schedule a day for delivery or pick up at our showroom in Columbia, TN right outside of Nashville, TN. 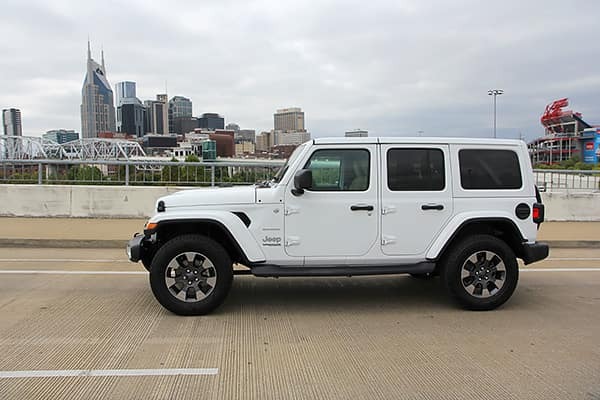 The largest selection of Jeeps for sale Nashville, TN from our dealership in Columbia, TN gives drivers plenty of options when it comes to financing Jeep models. Chrysler Dodge Jeep RAM of Columbia has a huge selection of certified used Jeep vehicles for sale for anyone that is seeking a quality certified used. Finding the largest selection of Jeeps for sale Nashville, TN at Chrysler Dodge Jeep RAM of Columbia. You will want to talk to our service department regarding special offers and our Jeep parts. We customize Jeep Wranglers, and have accessories in stock, so feel free to talk to us. 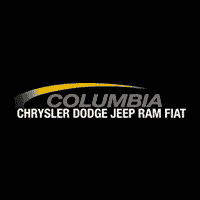 Chrysler Dodge Jeep RAM of Columbia is passionate about Jeeps and excited to talk to you about your current vehicle or purchasing a new Jeep. Please use this website to ask sales or service any questions and view our excellent selection of new and used Jeeps. Chrysler Dodge Jeep RAM of Columbia will assist you when you need help or advice regarding the largest selection of Jeeps for sale in Nashville, TN. Contact us to talk to a live expert today, and start your Jeep adventure with superior selection at some of the lowest prices around.